Precious Born and raised here at Tuscany’s! She is the daughter of Chiara & Tiko. Tessa is a gorgeous cobby girl with big round eyes. AKC & APRI Registered. Thank you Barbara Dickerson!! We Love Tessa! My beautiful red girl Lina! Born and raised here at Tuscany’s! Lina is my love machine! She can never get enough love! She will do anything to please you! She loves to play with the other mommies puppies and is sooo gentle with them!! Jazlyn (Jazzy) is our little liver/white girl, she is a beautiful addition to our breeding program! She has an awesome personality and an outstanding confirmation! Short body, flat face with a high set nose. She really does have it all! Dory is my little baby doll! She is the daughter of Samantha and Tiko. Truffles is our new addition. Thank you Sue! She is such a sweet little girl! Tomara is my darling girl that is from my lines. Her mom was bought from a friend of mine and bred to my Tiny Tiko. When you decide you want to purchase a Chinese Imperial or Teacup puppy, it’s important to find out as much as you can about the parents before taking your pick of the litter. Not only can puppies inherit their adorable looks from their parents, but their temperaments as well. That’s why Tuscany’s Tiny Shih Tzu has dedicated this page to providing information about each mother we use to breed beautiful Teacup and Chinese Imperial puppies for sale. Each female you see below is an AKC-registered Shih Tzu with her own unique characteristics, helping to produce some of the cutest and most affectionate puppies for Shih Tzu lovers! Our well-loved mothers, Lina, Jazlyn, Chiara, Dory, Truffles, and Tomara are those that give birth to our Chinese Imperial and Teacup Shih Tzu puppies. These adult female Shih Tzu range in size from four to seven pounds and all have different colored coats. While some were born and raised at Tuscany’s Tiny Shih Tzu, others are relatively new additions and I am proud of the reputation I have earned for treating them all like family, tending to their every need. You can be assured that the Teacup and Chinese Imperial Shih Tzu puppies for sale through Tuscany’s Tiny Shih Tzu all come from a warm and loving environment. The beautiful mothers that you see here are not for sale but they play an important role at Tuscany’s Tiny Shih Tzu. 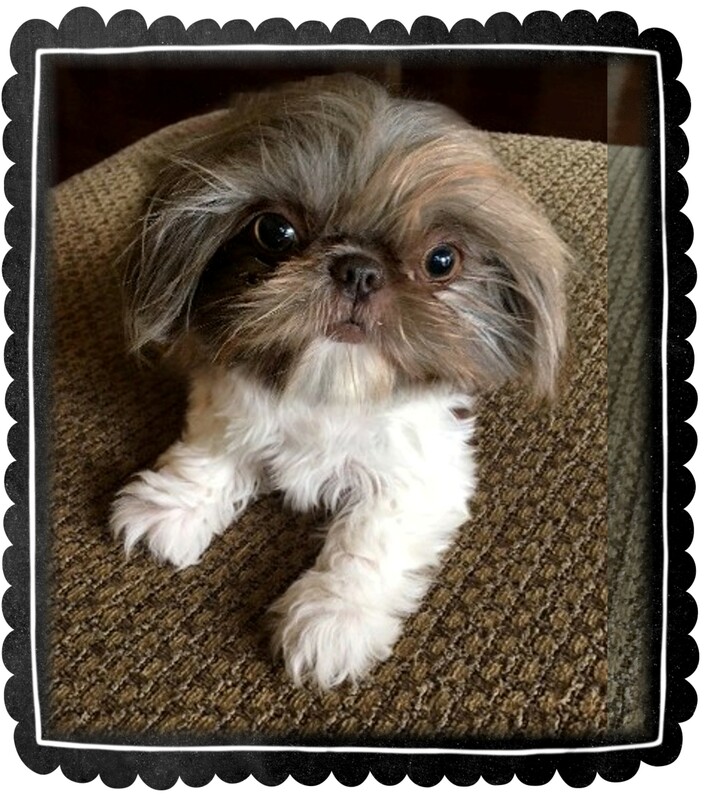 Learn about what makes each of them so unique then visit our Nursery page to view the litters Imperial Shih Tzu puppies and Teacup Shih Tzu puppies for sale right now. If you have any questions about our mothers or wish to reserve a puppy for your own, call us at 509-865-2097 or 509-985-0143 today.